Many churches subscribe to gospel doctrines but do not have a ministry that is shaped by, centered on, and empowered through the gospel. Its implications have not yet worked their way into the fabric of how the church actually does ministry. Center Church is organized into three big ideas and eight parts. We’ll look at first two parts under Gospel, the next three under City and the last three parts under Movement. 1. The gospel is good news, not good advice. 2. The gospel is good news announcing that we have been rescued or saved. 3. The gospel is news about what has been done by Jesus Christ to put right our relationship with God. – The gospel is not about something we do but about what has been done for us. – The gospel is preeminently a report about the work of Christ on our behalf. – It is news that creates a life of love, but the life of love is not itself the gospel. – Two errors that constantly seek to corrupt the message and steal away from us the power of the gospel are moralism and relativism (or pragmatism) or religion and irreligion. 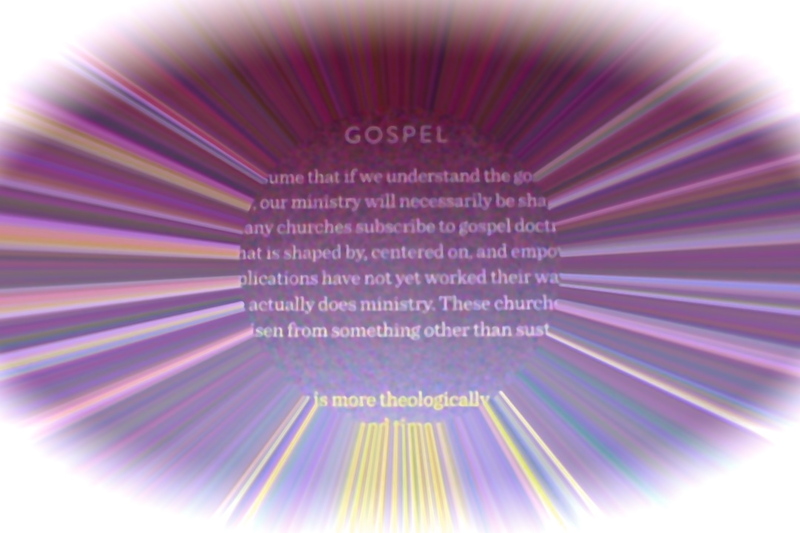 – If an element of ministry is not recognized as a result of the gospel, it may sometimes be mistaken for the gospel and eventually supplant the gospel in te church’s preaching and teaching. – Counseling, spiritual direction, doing justice, engaging culture, doctrinal instruction, and even evangelism itself may become the main thing instead of the gospel. The gospel is “heraldic proclamation” before it is anything else.